Stephen Nicholas, M.D., founder and current director of NY Orthopedics, is a recognized authority in the field of sports medicine. As director of the Nicholas Institute of Sports Medicine and Athletic Trauma (NISMAT), the first hospital-based facility dedicated to the study of sports medicine in the country, he has continued the renowned research and training in the fields of sports medicine and physical therapy. Over the years, Dr. Nicholas has dedicated a great deal of time to treating professional, collegiate and amateur athletes. He has served as the orthopedic team physician for the New York Jets, New York Islanders and the athletes at Hofstra University. He also served as a member of the mayor’s New York City Sports Commission. 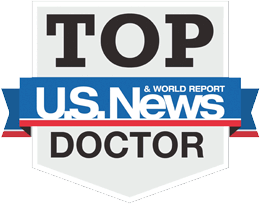 Dr. Nicholas has been recognized as “One of New York’s Best Doctors” by New York Magazine for the last ten years. In 2005, he was accepted as a member of the American Orthopaedic Association, which signifies honor and accomplishment in orthopedics and a commitment to active leadership in the specialty. Dr. Nicholas is a native New Yorker and a graduate of Harvard University. He received his medical degree from New York Medical College followed by a residency at the Hospital for Special Surgery and a fellowship in sports medicine at Lenox Hill Hospital.